A Spanish university launched the first worldwide online university course in refractive surgery this month. Miguel Hernández University, which is located in Alicante, Spain offers a comprehensive, 250-hour, one-year distance learning program that can lead to a university certificate, according to Ocular Surgery News. “A very innovative approach to subspecialty area that is neglected by traditional residency curricula. An opportunity for young and less young ophthalmologists around the world to have access to a course of the highest academic standard without having to move or commute,” said Jorge L. Alió, MD, PhD, course director. 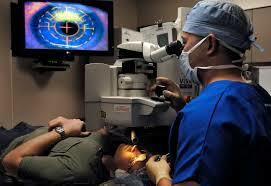 The course’s focus is refractive surgery. The course includes lessons on lens surgery, corneal surgery and cross-linking. It includes six modules instructed through videos for four hours a week in six months. The program is flexible, letting students enter, exit and re-enter the modules according to their own personal time and schedules. An assessment is required at the end of each module. “The video tutorials are given by me personally, as they reflect our approach to refractive surgery, based on the hundreds of papers and books we have published and on our long and wide experience in the field,” Alió said. The following six months students work under the supervision of a tutor on producing a paper on a topic relevant to the course that can be published. The tutor is someone with international reputation in the field. The faculty includes 34 tutors and two scientific advisors who consist of internationally recognized key opinion leaders in their respective subspecialties, Alió said.